Made of Sterling Silver and 10K Yellow Gold. 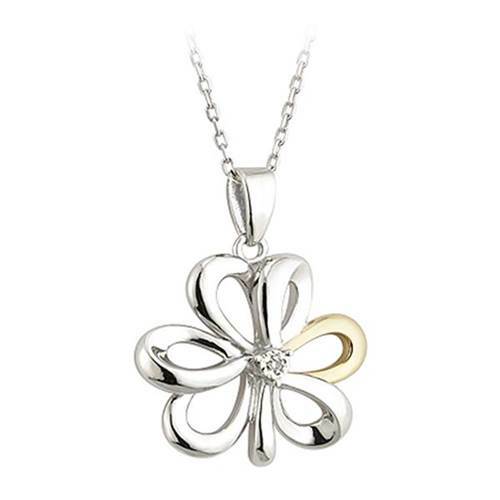 This Shamrock pendant feature a diamond in the center. It is an elegant and sophisticated pendant making it great for dressing up or down. 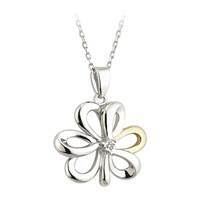 Made in Ireland; Hallmarked in the Dublin Castle.